The reason we farm is because we love agriculture. The Golden Rule guides us. Our contracts with landowners start with a conversation and a handshake. 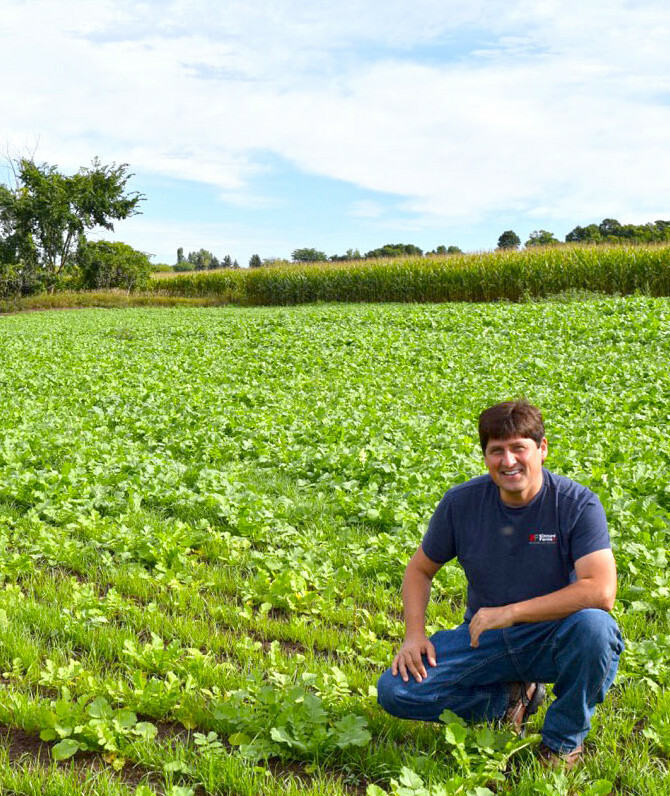 We believe in open communication in making decisions with our landowners. We respect that this is your land. This philosophy creates a win-win partnership giving our landowners a strong return on their investment. We prefer a three- to five-year contract because of the upfront investment we make in studying your soil; installing drainage pipes, if necessary; picking rocks; and improving your land’s productivity. Our machine operators are trained, highly-skilled professionals. Our local team members meet with our landowners to assure your questions and concerns are addressed. We believe being a good neighbor and farming the land is an honorable profession. We welcome your partnership in this endeavor to provide people with good nutrition and provide a return on your valuable investment. Interested in Renting or Selling? 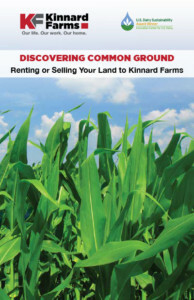 If you are interested in renting or selling your land to Kinnard Farms, please contact Jackie Kinnard-Stewart at 920.837.7644 or Jackie@kinnardfarms.com.